Managing your money shouldn’t give you a headache. That’s why we’ve created a range of flexible and accessible bank accounts. 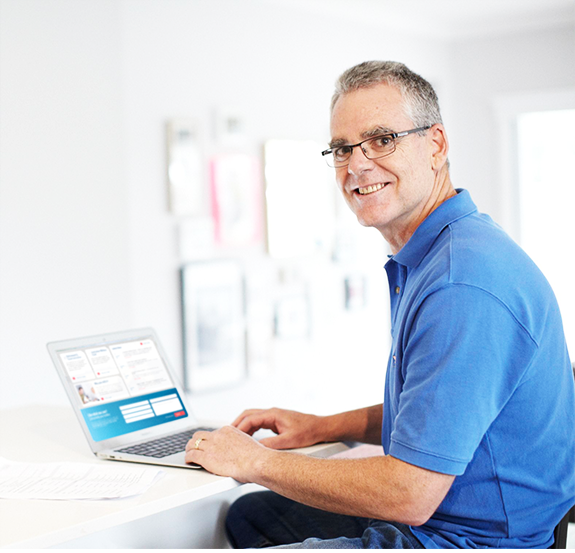 To open a Pension Access Account, go online, call us on 1300 13 23 28 to speak to a consultant, or visit us in person at your nearest branch. Here’s a summary of the rates and fees for the Pension Access Account. Tier 1 - $0 to $49,200: 1.75% p.a. Tier 2 - $49,201 to $250,000: 2.40% p.a. Tier 3 - more than $250,000: 2% p.a. *The first $49,200 earns interest at the lower interest rate regardless of account balance. The proceeding amount from $49,201 to $250,000 earns interest at Tier 2. Anything greater than $250,000 earns interest at Tier 3. To be eligible to open a Pension Access account, you must be aged 55 years and over and receive a Government pension. If we become aware that you no longer satisfy the eligibility criteria, we may convert your account into another savings account that we choose. Further, the pension must be electronically directed to the account and if this does not occur over a 12 month period, the account will cease to attract pension interest rates and you will be converted to an ordinary savings account and/or rate. We will inform you prior to converting your account. Fees and charges may apply on the new account. Take a look at our most frequently asked questions about the everyday Pension Access Account. Or, call us on 1300 13 23 28 to speak to a consultant if you have a different question. How do I qualify for a Pension Access Account? The maximum amount you can transfer at one time is $10,000. Your new card is embedded with an antenna so that when it’s held against the payWave reader, a secure message is transmitted to the terminal to process your transaction. Visa payWave is only for purchases under $100. How do I open a Pension Access Account? You can open a Pension Access Account securely online, in branch or over the phone. Can I earn interest on my balance? Yes, you can earn interest on your balance, which is calculated daily and paid into your account monthly. Refer to the comparison table below for our current interest rates. * ATM providers not included in the Australian Military Bank ATM network may charge you directly for using their ATMs. ^ The monthly service fee of $4.00 applies where the minimum deposit of $2,000 is not credited per month. Rates are current as at 1 May 2017 and are subject to change at Australian Military Bank’s discretion. The advice and information on this site doesn’t take into account your personal objectives, financial situation or needs, which you should consider before acting on any of our recommendations. To decide if this product is right for you, please carefully review our Terms and Conditions brochure and Fees and Charges Schedule.